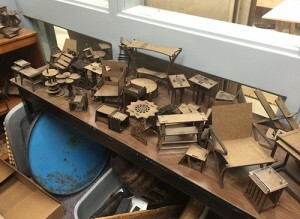 For the 3rd year in a row, the School of Theatre’s Technical Production department at FSU in Tallahassee hosted a Camp ShopBot. 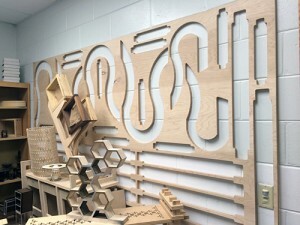 Their building is located off campus in a converted middle school, which also houses the Art department and Interior Design department’s Digital Fabrication studio. Thea Eck, from ShopBot, spent a day visiting with Professor Marlo Ransdell, from the Interior Design Department, as well as doing an afternoon VCarve training with the Technical Production department’s graduate students. 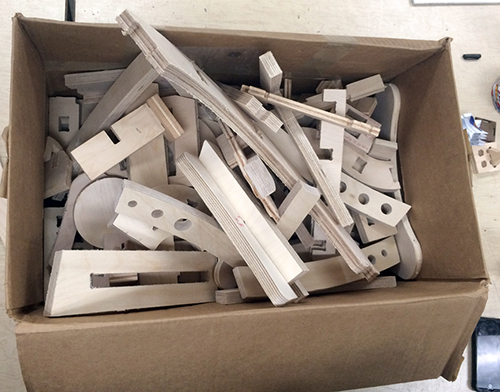 In Professor Marlo Randsdell’s digital design class, there is one main objective: design a chair using a 4×8 sheet of plywood and CNC joints, nesting the parts so very little scrap is left. But let’s just say it isn’t really about making a chair. 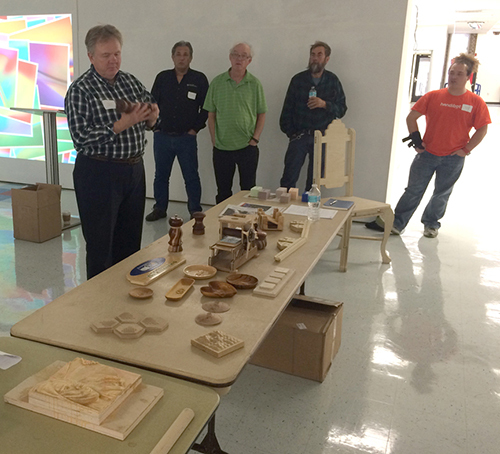 Students create maquettes of their designs and spend a month investigating CNC joints and refining offsets. Iterative design creates better products and digital design tools can assist. 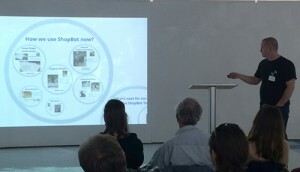 Professor Ransdell says that major leaps usually occur between the 1st and 2nd iteration, and then smaller changes between the 2nd to 4th or 5th iteration. Her undergrad students’ final projects are cut out using a laser cutter and her graduate students use the PRS alpha. Saturday’s Camp brought in local users as well as those who drove 3 and 4 hours. Sallye Coyle and Thea Eck lead presentations on importing vectors, bitmaps and 3d files into VCarve 8.0, understanding chipload calculations, troubleshooting mechanical problems, what’s new in VCarve 8.0, an overview of Fusion 360, and more. The Handibot’s rotary indexer attachment was shown, and Sallye tackled how to set up a design in Vectric’s software in relationship to your machine’s setup, not just for the Handibot. Colin Campbell, host and director of FSU’s theatre shop, discussed how the departments utilize their PRS Standard and gave a tour. 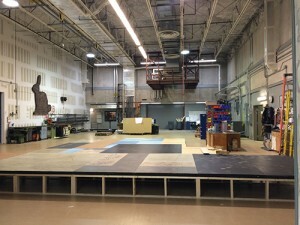 The Technical Production department has a huge space for painting scenery, building props, constructing the backdrops, and staging. 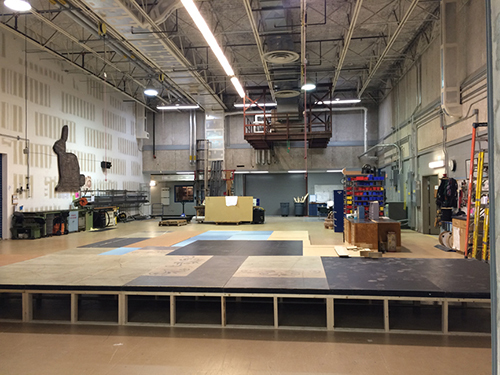 The finished set is constructed in the space and then disassembled and trucked over to the main theatres on campus. During lunch and in-between presentations, attendees took advantage of the down time to really engage with each other. Many conversations revolved around the technical aspects of specific projects, CNC in education, CNC in the workplace , and CNC in production modes. With an assortment of 10-year veterans, new users, and graduate and undergraduate students, the Camp reminded all of us how ShopBots create a lot of excitement but also laughter over common mistakes and “aha” moments within the learning process.